[Special Promotion] Academy of Language Arts (ALA) focuses on practical language training through helping students gain Japanese skills and the cultural know-how to use these language skills effectively. Enhancing students’ conversation skills has been the main educational objective at ALA since its foundation in 1984. Even if you are starting with zero Japanese, they assure that you’ll be fluent when you graduate. ALA also provides support for students seeking jobs in Japan. Students learn ways to search for full-time and part-time jobs, interview techniques and effective resume writing. Students can also receive employment information through a career service company. In addition, ALA specializes in business Japanese training and conducts the Test of Communication Competence in Business. As a result, graduates continually receive high evaluation marks in training for global human resource development in Japanese companies. Whatever your language goals may be, ALA will help you reach them. No.2 Tobundo Bldg., 2-16 Ageba-cho, Shinjuku-ku. Akamonkai Japanese Language School has two campuses and eight dormitories located around Nippori in Tokyo. Boasting 2,050 students from 40 countries, Akamonkai offers a wide range of classes for various levels. The school offers multiple courses to help improve students’ Japanese skills in the most efficient way possible, regardless of goal or level. 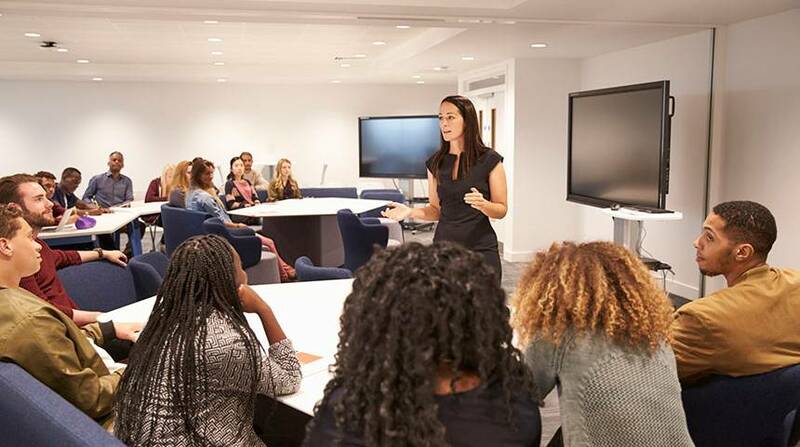 In recent years, the business employment classes have developed into a specialized and customized curriculum that adapts to each student’s changing needs. Full support is provided from the student’s first day to the day they graduate. The caring faculty at Akamonkai is dedicated to helping all students achieve their Japanese goal, and look forward to meeting talented, worldly thinkers—just like you! Evergreen Language School is located in the quiet residential area of Yutenji, just three stops from Shibuya on the Tōkyū Tōyoko Line. Established 67 years ago, the school has seen more than 50,000 students from around the globe pass through its classrooms. Evergreen strives to create effective, enjoyable classes to help students learn both the language and culture of Japan. 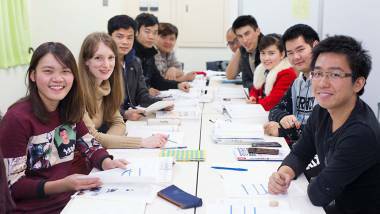 Private lessons allow students to choose special materials, and group classes offer the opportunity to learn Japanese while meeting people from all over the world. Evergreen also has an intensive kanji course, lessons designed to prepare students for studies at a Japanese university, and courses that will prepare them for future career interviews. Friendly and professional teachers help build confidence while laying the groundwork for continued learning. Evergreen operates in Jiyugaoka on the Tōyoko Line and can even dispatch teachers to the student’s home or company—which means fewer excuses not to make 2017 the year to conquer the Japanese language! 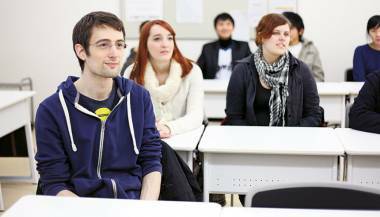 Regardless of your current Japanese language skill or the purpose of your study, Human Academy Japanese Language School can provide you with a tailored learning experience to match your need. 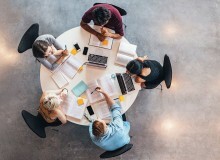 The school boasts a varied curriculum to suit every level from beginner to advanced, and they acquired the ‘Language learning services outside formal education’ certificate in 2014, which is issued by the International Organization for Standardization (ISO). Available courses include JLPT preparation, business Japanese, short-term intensive, and practical Japanese. Students of the regular Japanese language course also qualify for student visas, which will be perfect for those looking to hunker down in Japan for a while. Classes at Human Academy run twice a week, and options are available for private and group lessons. Whatever your ambitions may be, Human Academy Japanese Language School is sure to have the perfect course for you. With more than 40 years of educational experience, SNG provides its students a unique learning experience through the Ezoe Method. This method uses differently-shaped and-colored-cards to represent the different parts of speech, enabling students to speak with confidence, construct complex sentences and understand formal and informal conversations. Our programs range from total beginner to advanced levels, with various specialized course and class times to suit your needs. SNG had also launched a new digital learning program: Visual Learning Japanese (VLJ). Grammar is explained with help from corresponding videos and online exercises using the Ezoe Method. With additional access to SNG grammar and vocabulary study applications, you can preview or review lessons and study anytime and anywhere! This novel teaching technique, combined with our traditional classroom methodology, creates a whole new experience in language acquisition. 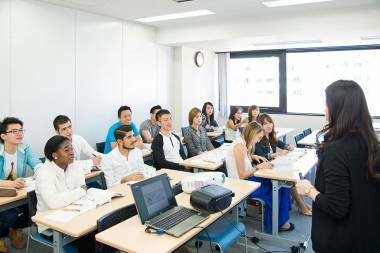 Specialized Japanese: business, tourism and Japanese language teacher training. After years of having to turn away many applicants who wish to study at YIEA Tokyo Academy, the school has finally moved to a larger building in Asakusabashi. The new school is a 15-minute walk from Akihabara, one of the must-visit places in Tokyo. Because of this move, the school is now able to welcome more students who want to study Japanese. 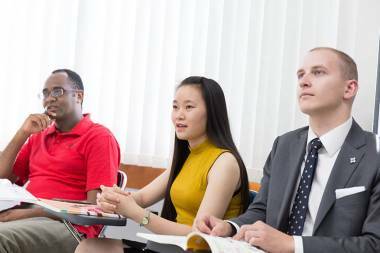 The curriculum maintains a more formal structure, with the majority of students striving for either the EJU or the JLPT levels N1 or N2. Anyone who wishes to systematically improve their overall Japanese skills should benefit from YIEA Tokyo Academy’s structured and careful instruction. Presently, students hail from more than a dozen countries, and the school boasts a very open and lively atmosphere. Strive for the best and join YIEA Tokyo Academy.